herein referred to as "Subscriber" and ASPEN Electronic Systems, LLC ("ASPEN") of 1203B East Grand Ave 143, Marshall, Texas 75670. ASPEN will provide the monitoring of the NA-1001-CDMA or NA-1001-GSM Equipment Monitoring System. The monitoring only includes the sending of SMS text or email. MONITORING: Upon receipt of a signal from the communication software, ASPEN ELECTRONIC SYSTEMS or its designee communication center shall make every reasonable effort to notify Subscriber. Subscriber acknowledges that signals which are transmitted over telephone lines, wire, air waves, internet, VOIP, or other modes of communication pass through communication networks wholly beyond the control of ASPEN ELECTRONIC SYSTEMS and are not maintained by ASPEN ELECTRONIC SYSTEMS and, therefore, ASPEN ELECTRONIC SYSTEMS shall not be responsible for any failure which prevents transmission signals from reaching the central monitoring center or damages arising therefrom, or for data corruption, theft or viruses to subscriber’s computers if connected to the communication equipment. Subscriber agrees to furnish ASPEN ELECTRONIC SYSTEMS with a written list of names and telephone numbers of those persons Subscriber wishes to receive notification of alarm signals. All changes and revisions shall be supplied to ASPEN ELECTRONIC SYSTEMS in writing. Subscriber authorizes ASPEN ELECTRONIC SYSTEMS to access the control panel to input or delete data and programming. 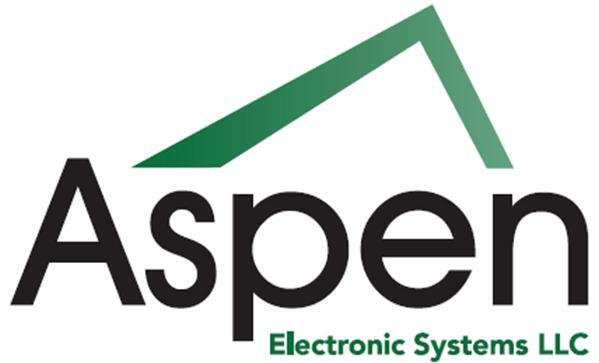 ASPEN ELECTRONIC SYSTEMS may, without prior notice, suspend or terminate its services, in central office’s sole discretion, in event of Subscriber’s default in performance of this agreement or in event central office facility or communication network is nonoperational or subscriber’s system is sending excessive communications. Central office is authorized to record and maintain audio and video transmissions, data and communications, and shall be the exclusive owner of such property. 2. PAYMENT. Payment shall be made to ASPEN Electronic Systems, LLC, Marshall, Texas 75670. Subscriber agrees to pay in installment payments of $39.95 per month. If any invoice is not paid when due, interest will be added to and payable on all overdue amounts at 15 percent per year, or the maximum percentage allowed under applicable Texas laws, whichever is less. Subscriber shall pay all costs of collection, including without limitation, reasonable attorney fees. In addition to any other right or remedy provided by law, if Subscriber fails to pay for the Services when due, ASPEN has the option to treat such failure to pay as a material breach of this General Agreement, and may cancel this General Agreement and/or seek legal remedies. 3. TERM. This General Agreement may be terminated by either party upon 30 days prior written notice to the other party. An email notice by one party will suffice. 4. CONFIDENTIALITY. ASPEN, and its employees, agents, or representatives will not at any time or in any manner, either directly or indirectly, use for the personal benefit of ASPEN, or divulge, disclose, or communicate in any manner, any information that is proprietary to Subscriber. ASPEN and its employees, agents, and representatives will protect such information and treat it as strictly confidential. This provision will continue to be effective after the termination of this General Agreement. Any oral or written waiver by Subscriber of these confidentiality obligations which allows ASPEN to disclose Subscriber's confidential information to a third party will be limited to a single occurrence tied to the specific information disclosed to the specific third party, and the confidentiality clause will continue to be in effect for all other occurrences. 5. WARRANTY. ASPEN shall provide its services and meet its obligations under this General Agreement in a timely and workmanlike manner, using knowledge and recommendations for performing the services which meet generally acceptable standards in ASPEN's community and region, and will provide a standard of care equal to, or superior to, care used by service providers similar to ASPEN on similar projects. d. The failure to make available or deliver the Services in the time and manner provided for in this General Agreement. 7. REMEDIES. In addition to any and all other rights a party may have available according to law, if a party defaults by failing to substantially perform any provision, term or condition of this General Agreement (including without limitation the failure to make a monetary payment when due), the other party may terminate the General Agreement by providing written notice to the defaulting party. This notice shall describe with sufficient detail the nature of the default. The party receiving such notice shall have Subscriber days from the effective date of such notice to cure the default(s). Unless waived in writing by a party providing notice, the failure to cure the default(s) within such time period shall result in the automatic termination of this General Agreement. 8. FORCE MAJEURE. If performance of this General Agreement or any obligation under this General Agreement is prevented, restricted, or interfered with by causes beyond either party's reasonable control ("Force Majeure"), and if the party unable to carry out its obligations gives the other party prompt written notice of such event, then the obligations of the party invoking this provision shall be suspended to the extent necessary by such event. The term Force Majeure shall include, without limitation, acts of God, fire, explosion, vandalism, storm or other similar occurrence, orders or acts of military or civil authority, or by national emergencies, insurrections, riots, or wars, or strikes, lock-outs, work stoppages. The excused party shall use reasonable efforts under the circumstances to avoid or remove such causes of non-performance and shall proceed to perform with reasonable dispatch whenever such causes are removed or ceased. An act or omission shall be deemed within the reasonable control of a party if committed, omitted, or caused by such party, or its employees, officers, agents, or affiliates. Any controversies or disputes arising out of or relating to this Agreement will be submitted to mediation in accordance with any statutory rules of mediation. If mediation does not successfully resolve the dispute, the parties may proceed to seek an alternative form of resolution in accordance with any other rights and remedies afforded to them by law. 10. ENTIRE AGREEMENT. This General Agreement contains the entire agreement of the parties, and there are no other promises or conditions in any other agreement whether oral or written concerning the subject matter of this General Agreement. This General Agreement supersedes any prior written or oral agreements between the parties. 11. SEVERABILITY. If any provision of this General Agreement will be held to be invalid or unenforceable for any reason, the remaining provisions will continue to be valid and enforceable. If a court finds that any provision of this General Agreement is invalid or unenforceable, but that by limiting such provision it would become valid and enforceable, then such provision will be deemed to be written, construed, and enforced as so limited. 12. AMENDMENT. This General Agreement may be modified or amended in writing by mutual agreement between the parties, if the writing is signed by the party obligated under the amendment. 13. GOVERNING LAW. This General Agreement shall be construed in accordance with the laws of the State of Texas. 14. NOTICE. Any notice or communication required or permitted under this General Agreement shall be sufficiently given if delivered in person or by certified mail, return receipt requested, to the address set forth in the opening paragraph or to such other address as one party may have furnished to the other in writing. 15. WAIVER OF GENERAL AGREEMENTUAL RIGHT. The failure of either party to enforce any provision of this General Agreement shall not be construed as a waiver or limitation of that party's right to subsequently enforce and compel strict compliance with every provision of this General Agreement. 16. ATTORNEY'S FEES TO PREVAILING PARTY. In any action arising hereunder or any separate action pertaining to the validity of this Agreement, the prevailing party shall be awarded reasonable attorney's fees and costs, both in the trial court and on appeal. 17. CONSTRUCTION AND INTERPRETATION. The rule requiring construction or interpretation against the drafter is waived. The document shall be deemed as if it were drafted by both parties in a mutual effort. 18. CAUTION: This notification appliance must be installed at a safe distance from any combustible sources. IN WITNESS WHEREOF, the parties hereto have caused this Agreement to be executed by their duly authorized representatives as of the date first above written. The Subscriber, and Daniel R Smith for ASPEN Electronic Systems, LLC, effective as of the date first above written.